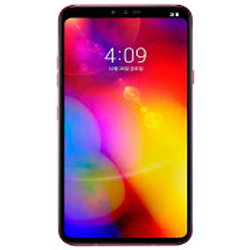 Lg V40 ThinQ Feature and Price - The Tech Tube Bd '+g+"
The LG V40 ThinQ is launched.The LG V40 ThinQ is launched in India. The device sports a 6.4-inch P-OLED display with that offers a resolution of 3120 x 1440. It is powered by an octa-core Qualcomm Snapdragon 845 SoC coupled with Adreno 630 GPU, 6GB of RAM and 128GB of internal storage- which is expandable up to 2TB via microSD card. In terms of optics, the handset comes with the triple rear camera. It sports a 12 MP RGB sensor (f/1.5 aperture), 16 MP super wide-angle lens (f/1.9 aperture) and 12 MP telephoto lens (f/2.4 aperture). Up front, the handset sports an 8 MP RGB sensor(f/1.8 aperture) and 5 MP super wide-angle lens (f/2.2 aperture). The mobile comes with 32-bit Advanced Hi-Fi Quad DAC and DTS: X 3D Surround Sound, which produces a much powerful sound system. The phone packs a 3,300 mAh non-removable battery that features Qualcomm quick charge 3.0 and runs Android 8.1(Oreo) and will receive Android 9(Pie) update in future. It has sensors like Face unlock, a Fingerprint sensor, an Accelerometer, a Gyro, a Proximity, a Compass, and a Barometer. The handset is available in Moroccan Blue and Platinum Grey color options.